I know just about everyone has a New Year’s Resolution to lose weight. I have more that once and maybe it worked for awhile but the truth is I in horrible shape, and not that healthy. 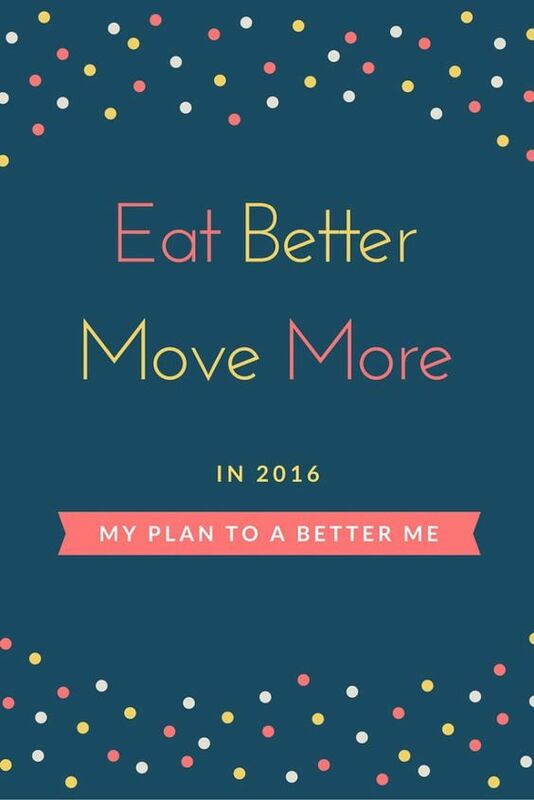 So I put together a plan to Eat Better and Move More in 2016 and I thought I would share it with you. Having this blog and you awesome readers will help keep me accountable as I plan to share my progress each month. I am not going to focus on weight. The fact that must of my clothes don’t fit tells me I need to lose weight. And I really don’t like people focusing on a number other than a number that makes you comfortable. What I’m saying is I won’t share how much I weight at any point in this journey, nor how much I have lost or want to lose. And honestly I don’t care how much I lose or don’t lose – this is about feeling comfortable in my own skin and getting myself healthier with better habits, get me? So Eat Better! Sounds easy but here is how I’m putting that in my life. Eat Less- sounds simple but this is exactly how eating less means for me. No seconds! If I’m cleaning the kitchen after a meal I have been known to finish off a dish that was almost gone anyway. NO MORE! Smaller Portions – I might even eat from a smaller plate so my plate will still look full. Shop Smarter – I do the shopping so if there is junk food in the house I only have myself to blame. Buying more fresh fruits and veggies is shopping smarter! Increase Water Intake- I have always struggled with keeping myself well hydrated. You know I love sweet tea and have had days that was all I consumed. Now I am limiting my sweet tea intake to 1 glass a day and only after I have had a full glass of water. 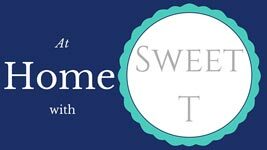 Cut Back on Sweets- I crave sweet things, hence the sweet tea, so much that I will eat something sweet like candy after every meal. Notice I said cut back because if I tried to cut myself off I would fail BIG TIME! I also plan to implement something similar to the sweet tea like limiting my sweet treats but only after a healthy treat. Move More! Hello, I’m out of shape and get winded if I have to run upstairs for something! So moving more is what my body needs. Exercise – I don’t do it now so even 10-15 minutes a day is better than nothing. I hope to start there and work my way up to more workouts. I’m also looking into a membership somewhere but am happy right now working out at home until I am in better shape. Find Opportunities to Move – You’ve probably already heard to park far from the door to get extra walking. Beyond that I find opportunities like when I’m doing chores and have a little bit extra time, I’ll make sure I am moving more. For instance doing laundry I might place the basket of clean clothes further away from where I’m stacking the clean clothes – see more walking back and forth. Or I might use the time at laundry or dishes to do some squats or march in place. Things like that. Watching T.V. is a great time to move too. Include the kids – You know how kids have and endless supply of energy? I’m taking advantage of that and getting them moving with me. Walks when the weather is right or at the mall when it’s not followed by playtime so it’s win-win. What do you think of my plan? It’s a great start to good changes that will help me be a better me. I should mention I have also been working at getting on a better routine by printing planners and getting those straight and organized. Exercise will be one thing on the top of the schedule. So what is your resolution? Any tips to my plan?